A multiple has the combined power of an ammeter, a voltmeter, and an ohmmeter. It is mainly used for checking the principal electrical values such as current, voltage and resistance of electronic circuits. Some advanced models can also accurately measure capacitance and inductance. 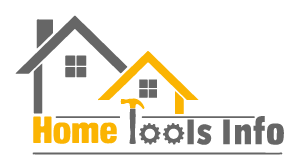 An electrical technician’s toolbox is incomplete with this diagnostic tool. But we, a bunch of tech geeks with Master’s degree in physics, want to help out the novices out there who are going to use this device for the first time. Understanding how a device works will help you use it like a pro. Before we get down to the details, note that a basic knowledge of common electronic schematic symbols is going to help you understand the process faster. Also, if you are looking for a brand new multimeter that rightly meets your specific demands, check out our Best Multimeter Reviews. Unlike analog multimeters, digital multimeters (DMM) do not use any needle. They use advanced internal circuitry that gives you accurate readings in a jiffy. Most multimeters these days have plastic outer casings which have a number of functions engraved on it. You will also find the range of every circuit characteristic a particular device can measure. For example, say we have a multimeter that can measure resistance in the range between 500 Ohm to 5000 MegaOhm. Many expensive models manufactured are capable of measuring frequency, diode characteristics and even test logic and transistor. While buying a multimeter, the most critical aspect to take into consideration is the accuracy. The closer your measured reading is to the actual one, the more accurate its results would be. For instance, multimeters with accuracy marked as +/- 0.1V would be more accurate than its counterpart marked as +/- 0.5V. A multimeter comprises of 5 main components- display, input jacks, ports, buttons and a selection dial that needs to be rotated to select desired measurement values. DMMs can be divided broadly into 5 categories- Testers, Standard, Advanced, Wireless and Compact. Color-coded insulated wires (red denotes positive and black negative) are used as conductor from the units put to the test of the DMM. In modern multimeters, the resolution is often displayed in bits. A technician can figure out if it’s possible to see a minor change in the measured signal by knowing the resolution. Most SAR ADCs or Analog to Digital converters have resolution levels of 16 bits or higher depending on the demand. These DMMS are operated at a speed of 100K samples per second. As you might have already understood by now, the basic work of a multimeter is to convert various parameters such as such as current, resistance, voltage into DC voltage within the specified range of an ADC. Once that is done, the ADC will convert prescaled DC voltage and display them as digital numbers on the screen. Some devices also integrate a microprocessor with a digital block in order to control the flow of information in the unit. The block also transfers the information to externally connected devices such as a computer. Although the analog to digital converter is the primary element of a multimeter, there are a few other functions you need to know about in order to fully understand the mechanism of the instrument. A DMM cannot return every sample that it takes. Instead, it will average the samples to obtain greater resolution and accuracy. This eliminates the effect of noise, a very small variation the instrument needs to overcome to achieve maximum accuracy. In the very beginning of this guide, we emphasized the importance of learning the electronic schematic symbols found on multimeters. These symbols imply values of the electrical characteristics. How Does a Multimeter Measure Resistance? Before starting the process, make sure to switch off the main power supply. If you don’t, the sudden voltage drop may severely damage your multimeter. The Ohmmeter function of a multimeter measures resistance of an electric circuit. To do so, first, you have to connect the resistor to the input probes. Turn the selection dial or rotary switch to Position-1. From a constant current source, the proportional current will flow through the resistor. The voltage is produced across the constant current source. FYI, an electrical circuit has a resistance of zero ohms in the event of a short circuit. How Does a Multimeter Measure AC and DC Voltage? For this, you will have to connect a random AC or DC voltage to the input probes. Put the dial to Position-2 for AC voltage and Position-5 for DC. The voltage will be attenuated if it is above the prescaled range and then converted into proportional DC voltage. Note that the DMM has to be connected in parallel to measure voltage. How Does a Multimeter Measure AC and DC Current? In this case, the DMM needs to be connected in series. To begin this process, first, determine the type of current (AC or DC) and the range. In a multimeter, both AC and DC currents are measured indirectly. You will have to connect the unknown AC or DC current to the input probes. Set the dial at Position-3 for AC and 4 for DC. Once done, the I-V converter will proportionally convert the current into voltage. The AC standard varies from country to country. It is very obvious to find your electrical gadgets malfunctioning when used in a different country. With the help of the AC voltmeter function of your DMM, you can find out the voltage supported in your house. 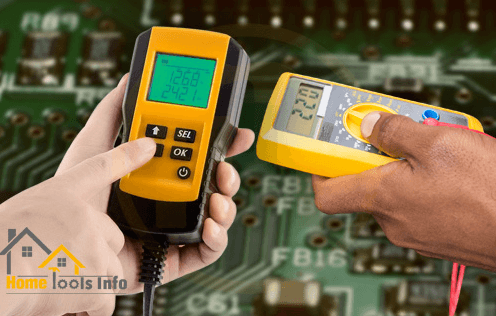 Hope this guide helps you thoroughly understand the principal of multimeters and you are able to put your knowledge to practical use real soon.